Driving a Lexus says something about your personality. You wanted a Toyota, but you were willing to throw around two Toyotas worth of money. But now, Lexus is reaching out to a different kind of consumer: Luxury car lovers who are obsessed with Huy Fong Sriracha. 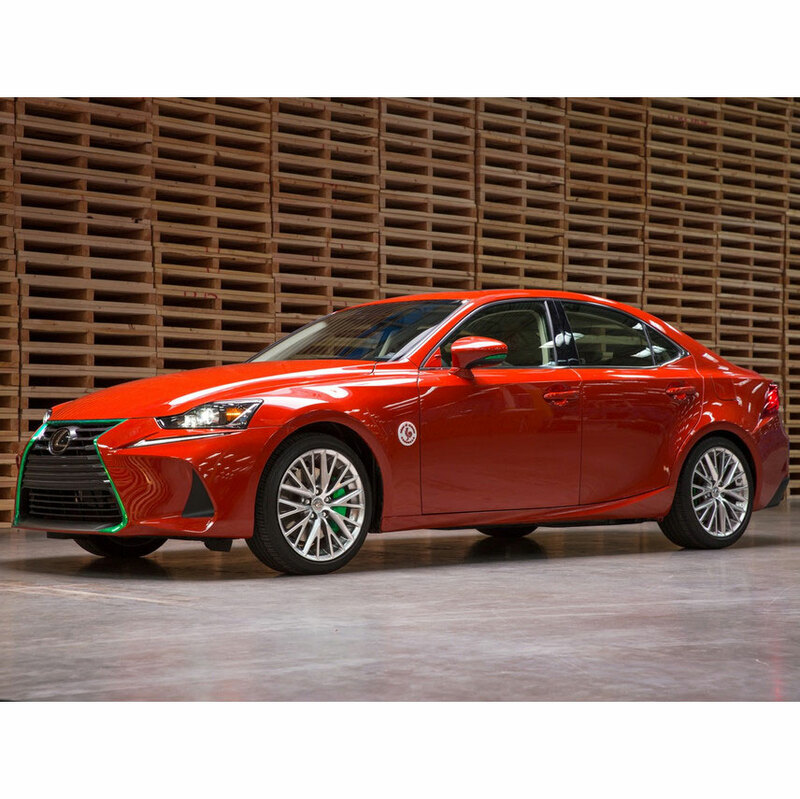 Meet the 2017 Lexus Sriracha IS – all the sensibility of a reliable luxury automobile with the complete insanity of modeling that automobile after a bottle of hot sauce. So what makes this car so sriracha-y? Well, the paint job, of course, features Huy Fong’s distinct bright red color with green trim around the grill to mimic that iconic bottle’s cap. But Lexus took things further. Ridiculously further. That paint job, is infused with actual Huy Fong Sriracha sauce. So is the steering wheel. And the seats are embroidered with Huy Fong’s signature rooster. The car’s heating system goes up to “Sriracha” hot. Even the sports drive mode has been rechristened the “sriracha” mode. Not enough actual sriracha for you? Yeah, the trunk comes piled full of 43 bottles of the spicy stuff. Oh, and the key fob has an extra button that turns it into a tiny emergency sriracha dispenser. So much for needing a separate Sriracha keychain. In fact, the only bad news for sriracha fans is that the car is for promotional purposes only. Lexus says they have no plans to sell the car, even the display model, and for now, the car doesn’t even have a sticker price. Sounds like you’re stuck driving your Toyota Corolla with a glove compartment full of packets. That’s okay: You were planning on putting another 90,000 miles on that car before you got a new one anyway. So reliable!